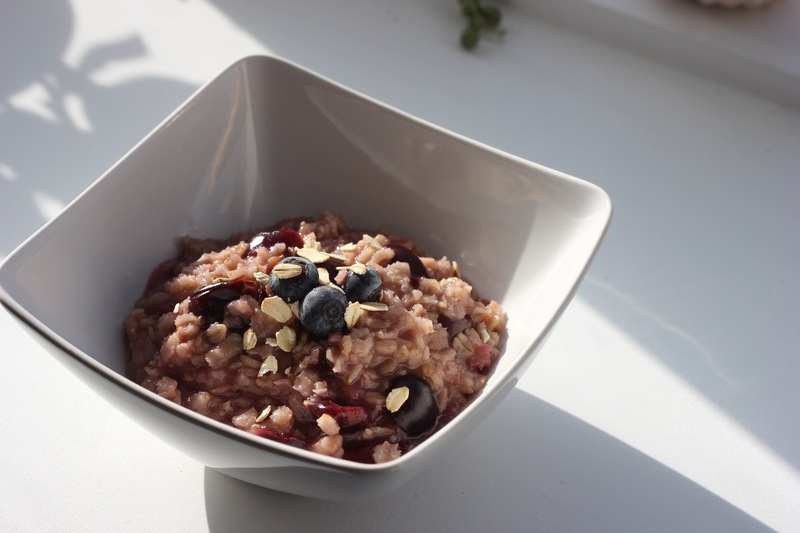 I am not usually a huge fan of oatmeal but add dark cherries and maple syrup and now I am. This is such an easy thing to make and it’s so filling. Exchange dark cherries for any fruit you have on hand and you could use agave if you don’t like maple syrup. I hope you enjoy!